Last year the nation was shocked when a 9-year-old Colorado boy took his own life. A recent report says youth suicide is a public health crisis in Colorado and the numbers in the Mountain West as a whole are staggering, with some of the highest rates in the nation. 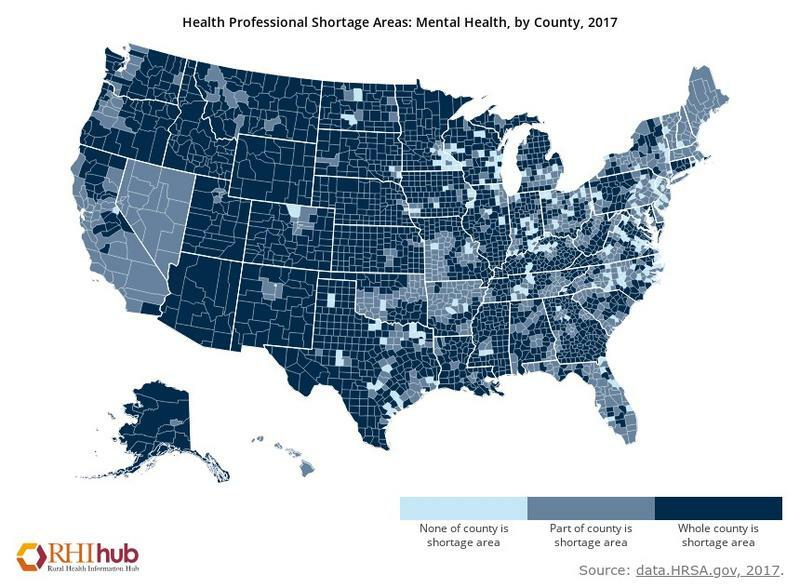 At the same time, there’s a significant shortage of mental health professionals -- at crisis levels in some communities. Often, it’s mental health workers in schools who work on the front lines of this crisis. Debbie Sell is a social worker who splits her time between two high schools in El Paso County, Colorado. She likes to keep her door open. And, students pop in. One student who visited her on a January morning was a sophomore who’s a regular in this office. She told Sell she recently got a job outside of school. Sell encouraged her and made sure she had a plan for transportation and a way to keep up with her homework. Sell also reminded the student if she’s ever in an urgent situation, she can leave a note and Sell will make sure she sees her before the day is over. More often than not, this is what Sell offers -- a listening ear for students to talk to about their lives – the good and the bad. She said it’s simple everyday rapport-building like this that helps prevent students on the edge from slipping through the cracks. A recent medical study showed at least half of parents whose kids had considered suicide had no idea. A few years ago, El Paso County drew national attention when a cluster of youth suicides shocked the community: 37 in the space of just two years. The numbers haven’t gotten much better. As a school mental health professional, Sell is trained to catch the signs of a child in crisis. But here’s the problem: she’s stretched thin, covering two campuses and roughly 2000 students. Sell does work with a team of eight licensed counselors and two psychologists, But she’s the only one dedicated to mental health full-time at these two schools. It gets to the crux of one solution experts often recommend for youth suicide epidemics -- to get more trained mental health professionals into schools, people like Sell. In 2016, 75 percent of public schools nationwide reported inadequate funding for mental health personnel and resources. “A lot of students out there who are struggling are not getting seen because we just we're dealing with other things or we just aren't in the building at the right time,” said Sell. It’s a high-achieving academic environment and Sell said social media can exacerbate the need to fit in. “A lot of students just have a hard time with the pressure and expectations and they end up having breakdowns because of that,” she said. But Sell is happy that teachers and administrators have stepped up to be eyes and ears and trusted adults for students to connect to. She said this is a clear sign of the work the community has done since the recent cluster of student suicides. The schools have also integrated evidence-based suicide prevention programs, like Sources of Strength, into their communities. It’s a peer support network that trains and encourages young people to be there for one another. Another student popped his head into Sell’s doorway. He was one of her regulars too and she knew he loved chocolate, so she offered him a piece from the jar on her desk. Then she asked him if he was doing OK.
Sell said sometimes helping her students is something as simple as making sure they have enough food to eat in the day or even shoes to wear. Those problems can be much easier to spot. It’s the hidden issues that are harder, especially for someone keeping an eye on two thousand teens. If you or someone you know is in crisis and needs help, call the National Suicide Prevention Lifeline at 1-800-273-TALK (1-800-273-8255). Copyright 2019 91.5 KRCC. To see more, visit 91.5 KRCC. The Wyoming Department of Health is asking for public comment after releasing a draft of the state's first-ever state health assessment, a comprehensive review of health issues impacting Wyoming. The American Hospital Association has released a new report on the state of rural hospitals across the country. There’s good and bad news about how the Mountain West stacks up. First, the bad news. When it comes to the number of mental health professionals, our region looks like a black hole. Suicide is currently the second leading cause of death for adolescents in the country. And in the Mountain West, youth suicide rates are double, and in some cases triple, the national average. Now, a new study shows parents are often unaware that their kids are struggling. The Mountain West has some of the highest teen suicide rates in the country. A new report out of the region looks at what conditions contribute to the high rate of youth suicide. Wyoming's Safe2Tell program has received over 1,500 tips from students since its implementation two years ago.